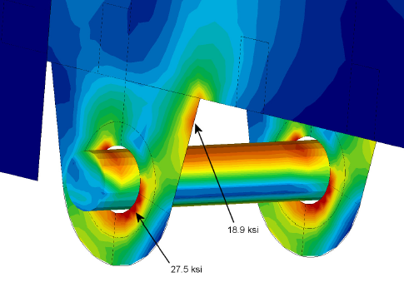 The Shearer Group, Inc. has the ability to examine complex structures, for which conventional methods of analysis would be extremely difficult or time-consuming, using advanced computational methods such as finite element analysis (FEA). 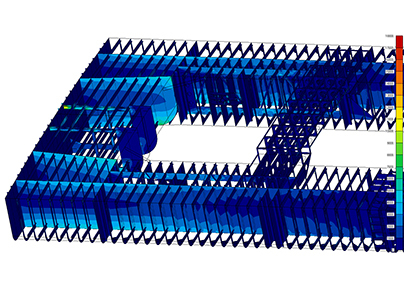 Using the latest FEA software and techniques, we are able to analyze existing projects as well as our own original designs. 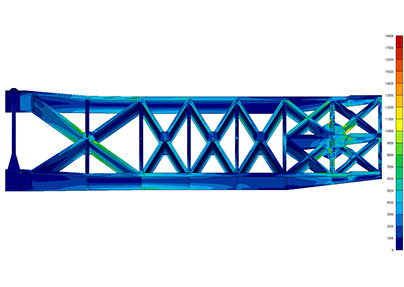 An analysis is possible for the entire vessel or for only certain areas of interest, such as a foundation that is expected to experience high loads. The fidelity of the analysis is determined and agreed upon ahead of time, and the analysis is carried out in an efficient and professional manner. 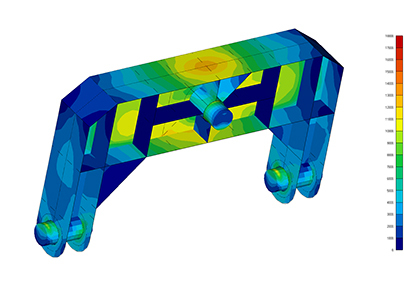 Our FEA skills have allowed us to answer questions about many designs quickly and with a high degree of confidence in the results. 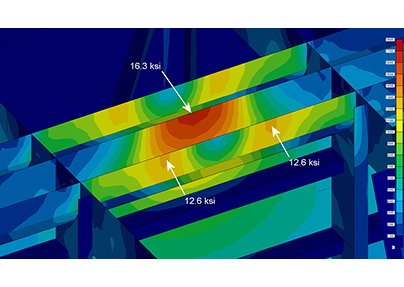 We regularly perform linear static, nonlinear static, buckling, contact, and transient dynamic analyses. 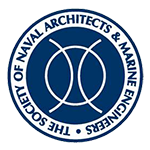 Our experience also includes fluid-vessel interactions in various situations, both in still water and in a range of sea states.